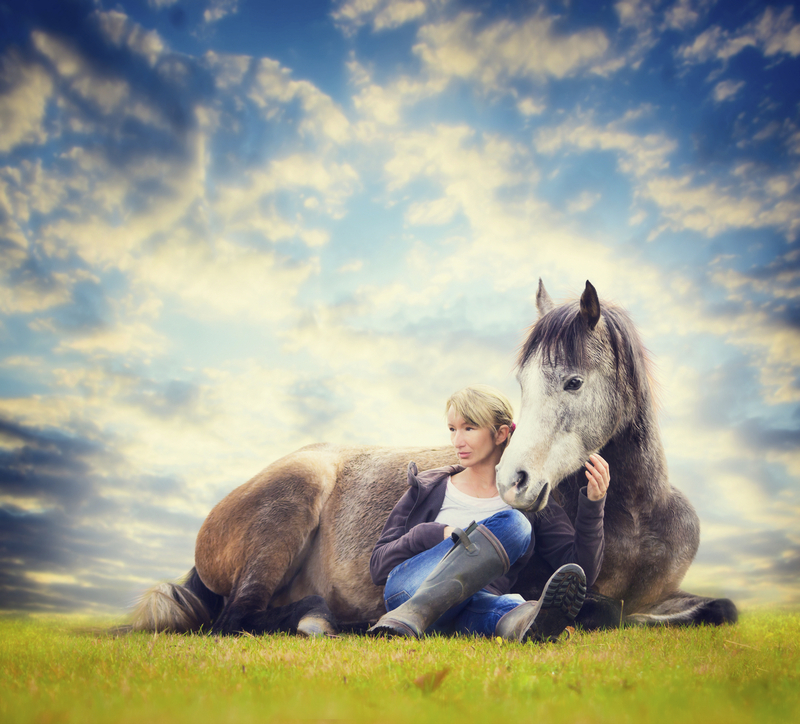 HOW IS TRAINING YOUR HORSE AND LEARNING DRESSAGE FOR YOURSELF MEANT TO FEEL? 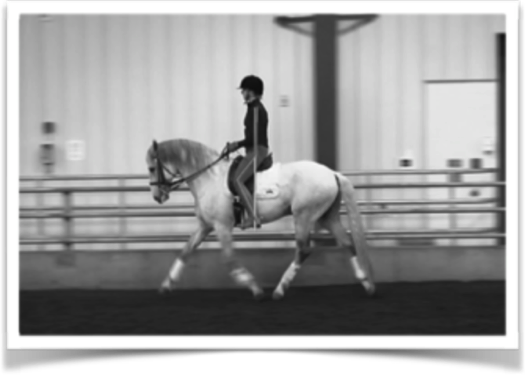 If you find yourself struggling to teach your horse some specific movement, or how to have more impulsion or improve balance, it is worth remembering that in general improvements tend to happen in much smaller increments. Even the ‘big’ improvements tend to happen due to a combination of smaller things coming together. Even if you find your horse suddenly providing more impulsion, it would come from gradually improved balance, confidence and understanding from the horse. WHAT TO DO WHEN YOU ARE STRUGGLING? 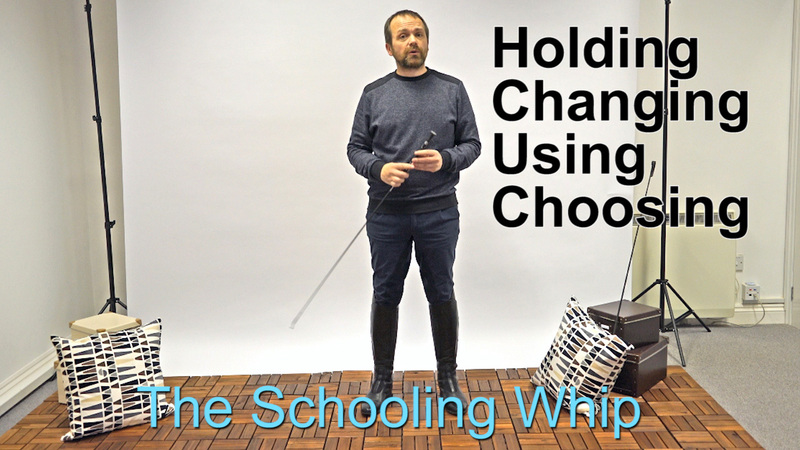 Introduce the horse to trotting poles, then move onto raised trotting poles to improve the strength of the hind legs and the thrust from the ground. Work on your own ability to control tempo through your rising trot mechanics. 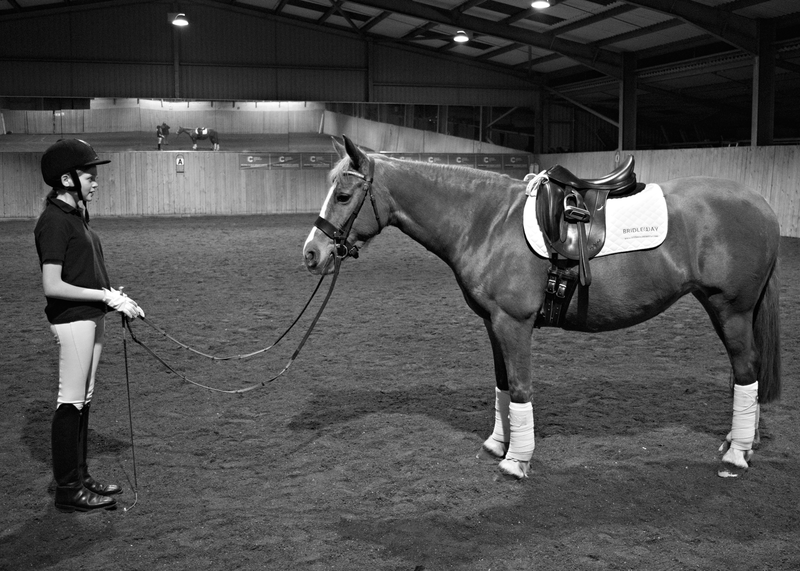 Work on moving the horse from a smaller trot, using tempo control, to a bigger trot – teach it that it can have some range within its paces. If you have a good rein back, use that to help bring the hing legs under including transitions into trot. Check the horse has no back issues, saddle issues, teeth issues or foot problems. Consider how fit your horse is for the level of athleticism you are asking. There are lots of ways you can indirectly work on the ability of the horse to increase impulsion – the gradual slope of training. I think in general rider’s need to spend more time on perfecting their own technique too. In most sports you hear of professionals working on their swing, or improving their fitness, or working on this technique or that technique. 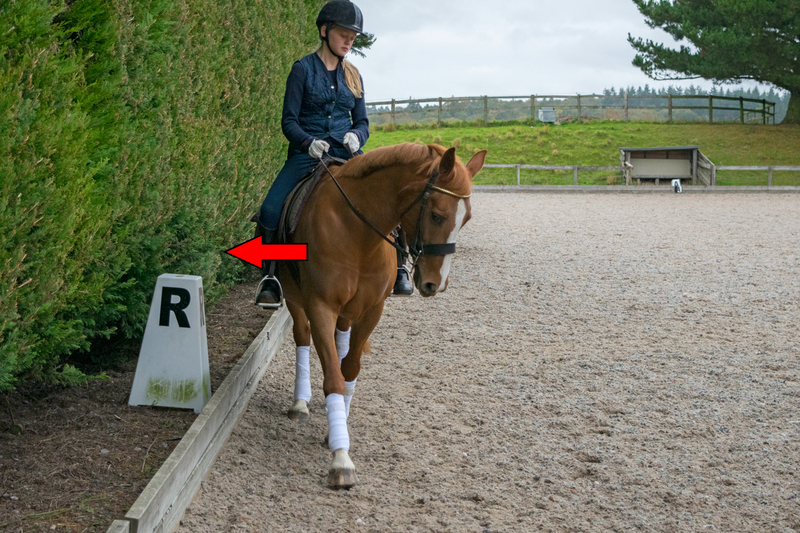 But rarely do we hear of top riders saying they are working on their sitting trot or their rising trot mechanics or their asymmetry through lateral work. I have found that in riding, improvement comes through teaching technique (usually a significant change for the rider) then spending thousands of repetitions improving and honing the technique. It is something you have never ‘got’ but work towards. Improvement in the horse will come from your own attention to the quality of your riding every single day. When I teach Milly – who you see on Dressage Training TV – we are always working on technique. Developing more stability, better control of her body through more demanding work, increased control of legs, hands, core, position and aids. This automatically translates to a better balanced horse, which makes smoother turns, better control of balance and tempo etc. In summary, focus on the journey and the process and do not stress and angst yourself over the goal. You can reach the top of a steep mountain through small gradual steps, reducing seemingly sheer cliffs of skill into bitesize chunks. When in doubt, when you are struggling find a way to break down the problem into a series of easier steps. 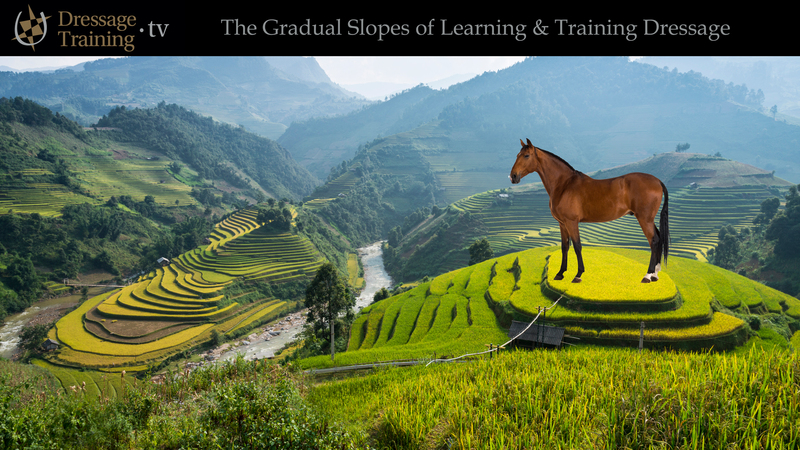 Check out The 'How' of Riding for more tips towards the gradual slopes of learning.